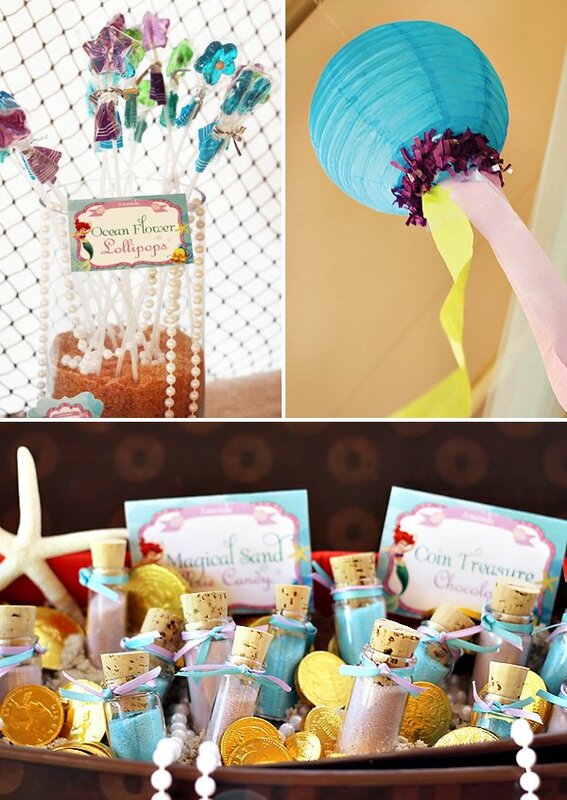 Home/Posts/Party Inspiration/Kids Birthday/Parties for Girls/Little Mermaid Party: Under the Sea Adventure! 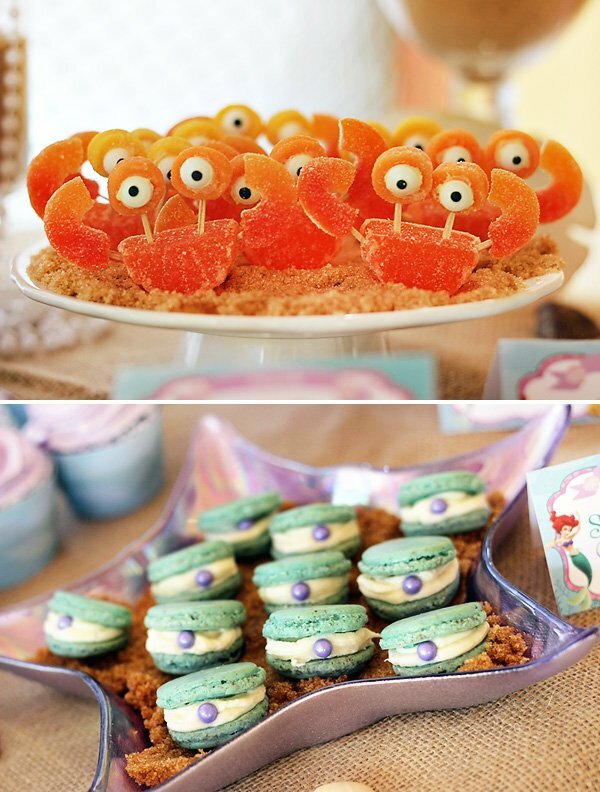 Little Mermaid Party: Under the Sea Adventure! 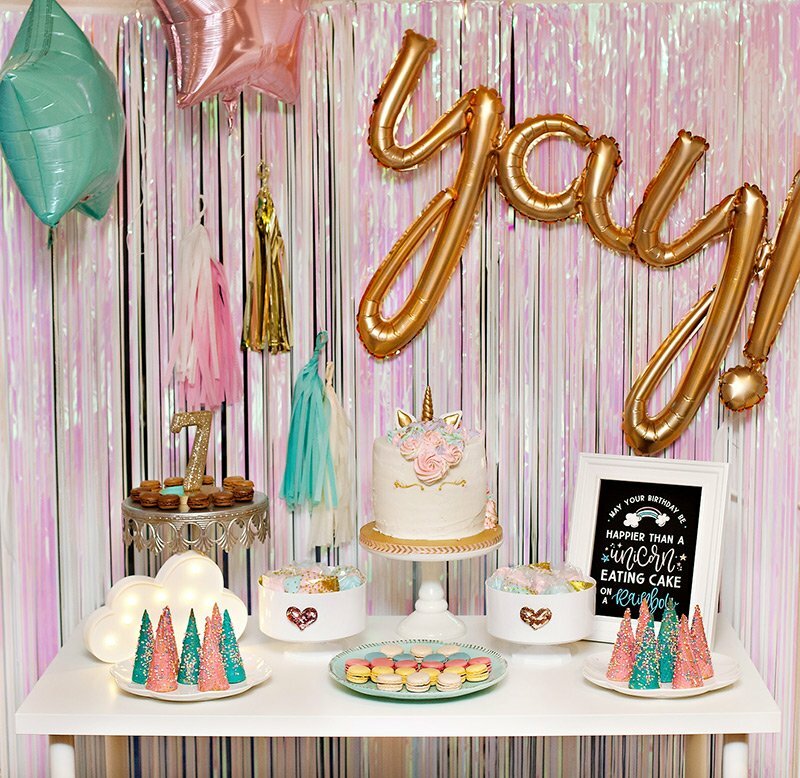 Just like Monica Margolles of Styling the Moment‘s daughter, my girls are going through a huge Little Mermaid phase right now, so I know this Under the Sea Adventure Party would be an absolute hit in this house too… and probably in many other houses around the world. 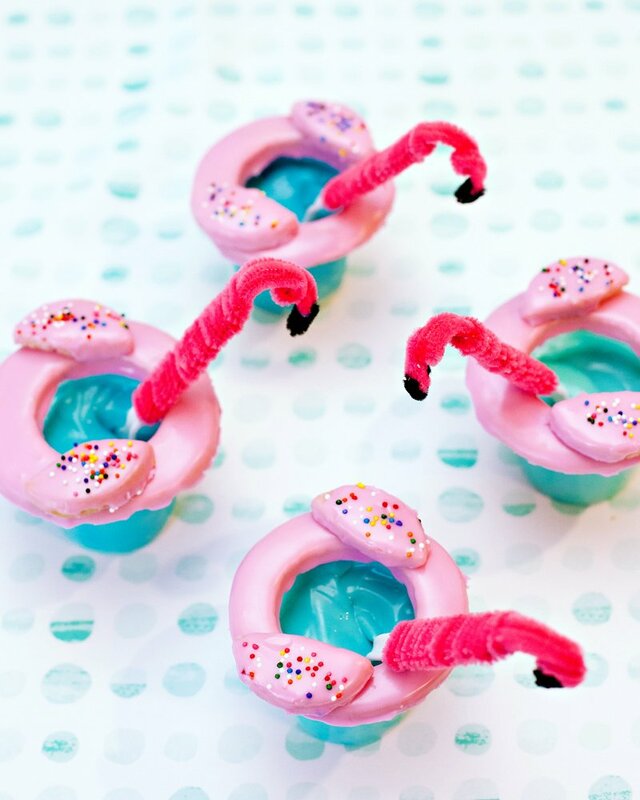 ;) Mom thought of just about every clever under the sea treat, from sour seaweed, coral rock candy and sand dollar Oreos, to ocean flower lollipops and the most ridiculously cute orange gummy crabs! I also love that she included true-to-the-movie details like an ode to “Kiss the Girl” and silverware-filled candelabra centerpieces, including the infamous ‘dinglehopper’ of course! 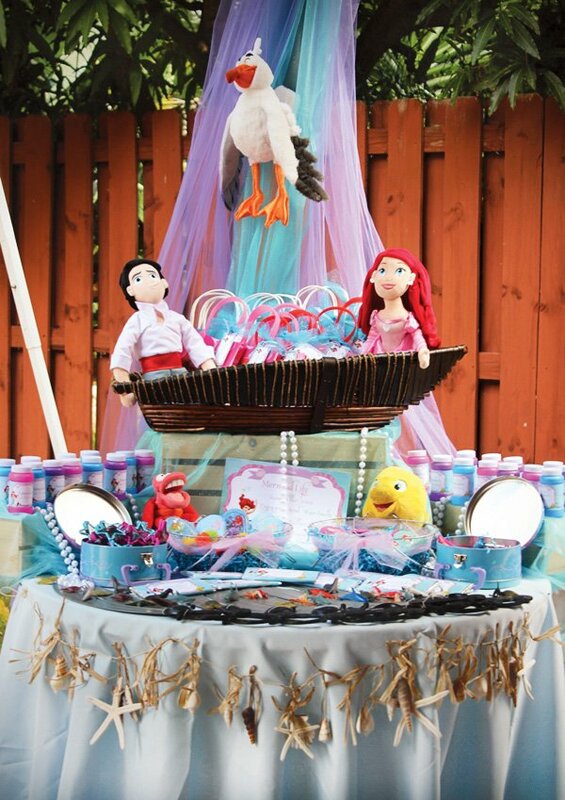 A staged Kiss the Girl scene beneath cascading tulle and a Scuttle plush! 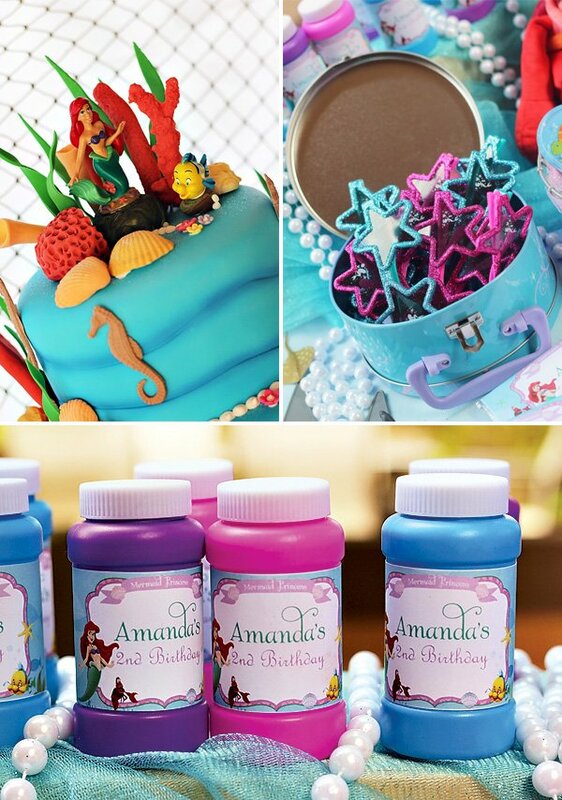 My two year old beyond loves The Little Mermaid and everything about Ariel’s life under the sea as a mermaid so the focus of my party was just that. I tried to create an under the sea environment with all the sea life and treasures that the little mermaid would find. 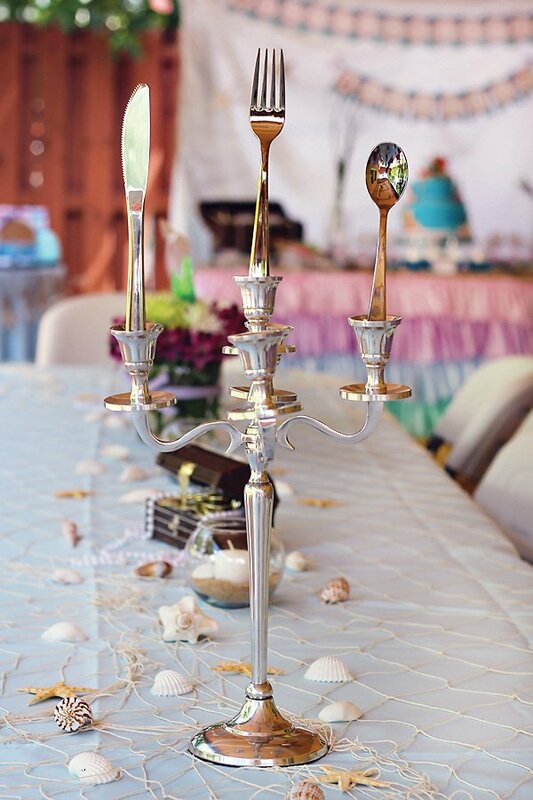 For the guests’ tables, I included candelabras holding sunken utensil treasures just like seen in the movie. 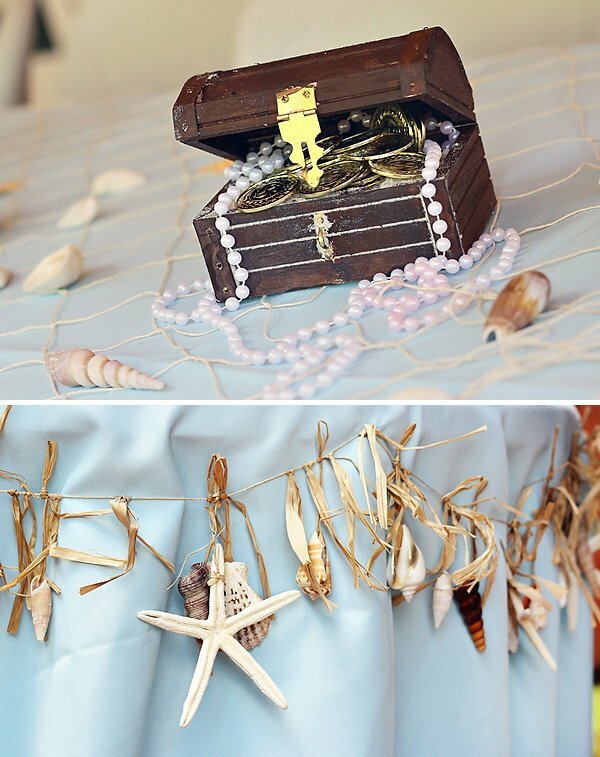 I also included other items shown in the movie as part of Ariel’s collection such as mini filled treasure chests, seashells, nets, and non-lit candles. Flowers with splashing mermaid fins completed the look. 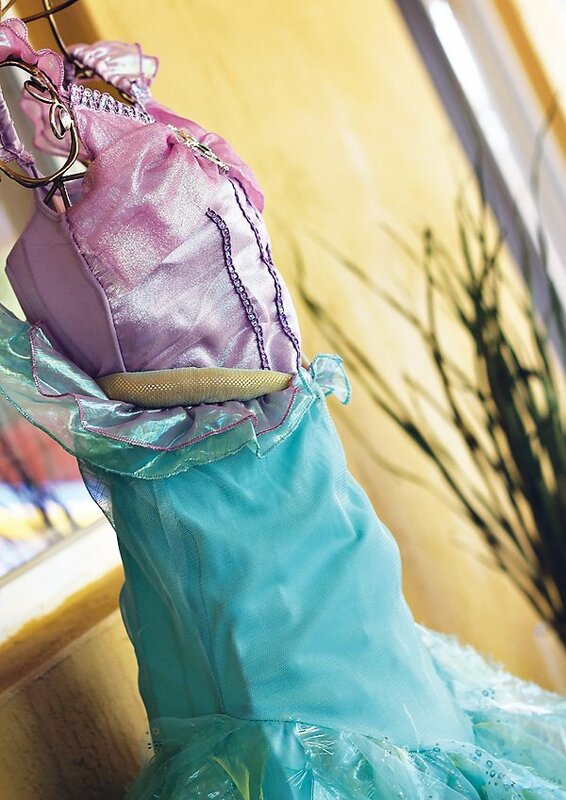 For hanging decorations, I created “jellyfish” lanterns and streamed large pieces of tulle from one end to another. One of my daughter’s favorite songs is “Kiss the Girl” so I was able to recreate a small piece of that scene for her by placing her Ariel and Eric dolls in a small canoe. 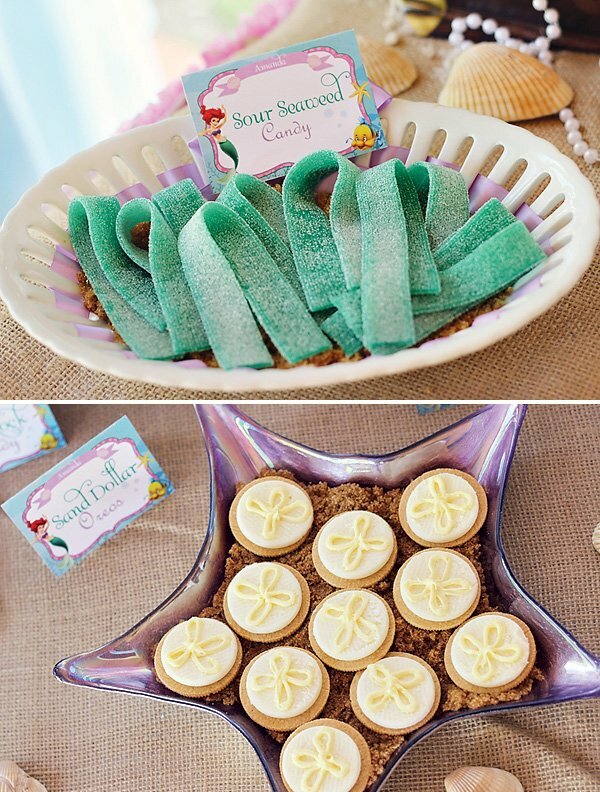 The table was filled with lots of mermaid and ocean goodies. All the kids enjoyed coming in and filling their goody bags with all the favors. 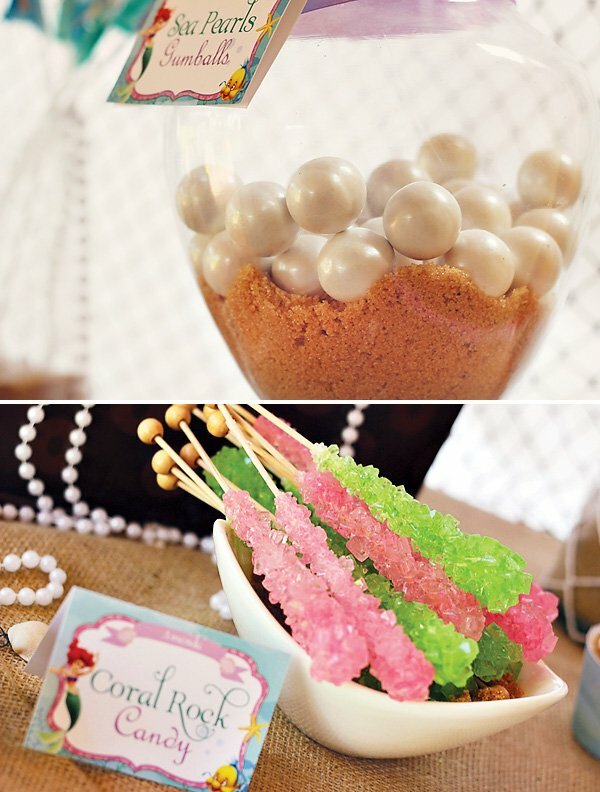 The dessert table was filled with edible sea creatures and treasures: octo-pops (marshmallows), crab slices (orange slices), clams (macarons), sand dollars (cookies), sunken coins (chocolate), sand (sugar candy), seaweed (sour strips), sea pearls (gumballs) sea water (jello). I used “sand” (brown sugar) to fill all the platters. 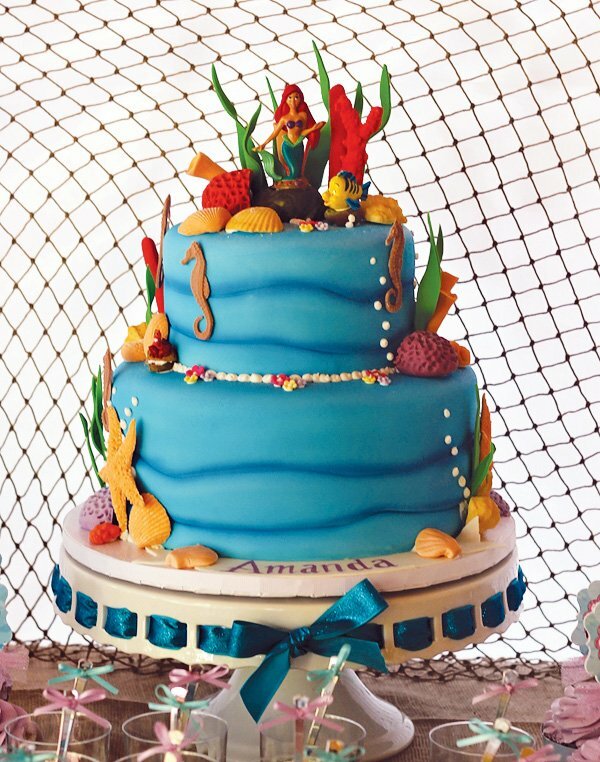 The incredible cake filled with edible ocean life gave it the final touch. 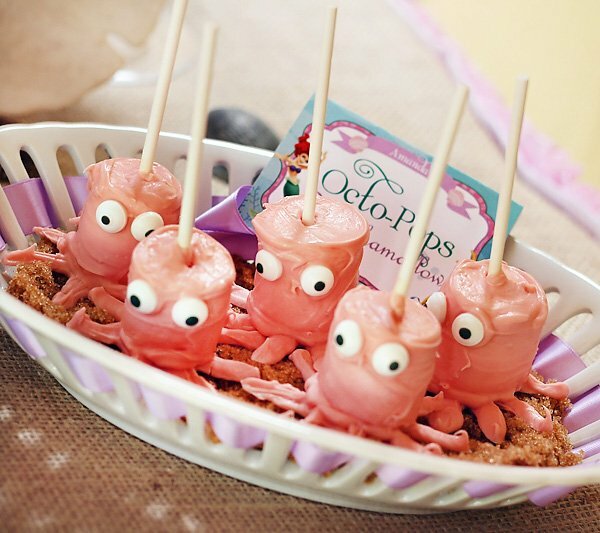 With the Under the Sea theme, it was so easy to create a delicious seafood menu along with thematic but non-seafood items. 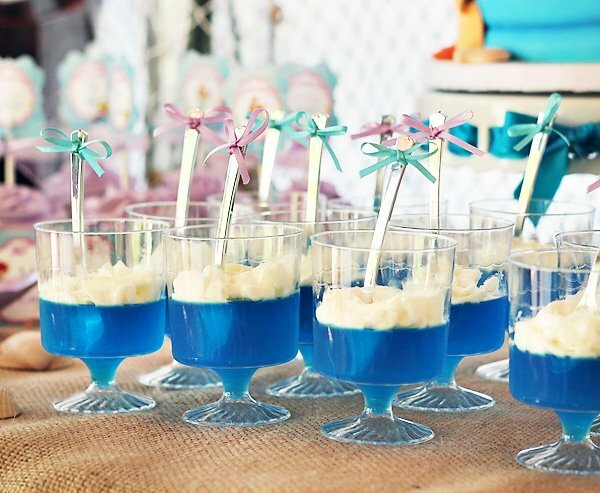 The menu included Peanut Butter and “Jellyfish” sandwiches, Tuna Pasta Salad, Seaweed (spinach) dip, Pasta Shells and Cheese, Shrimp cocktail, Scallops wrapped in bacon, and Seaweed (basil) skewers. 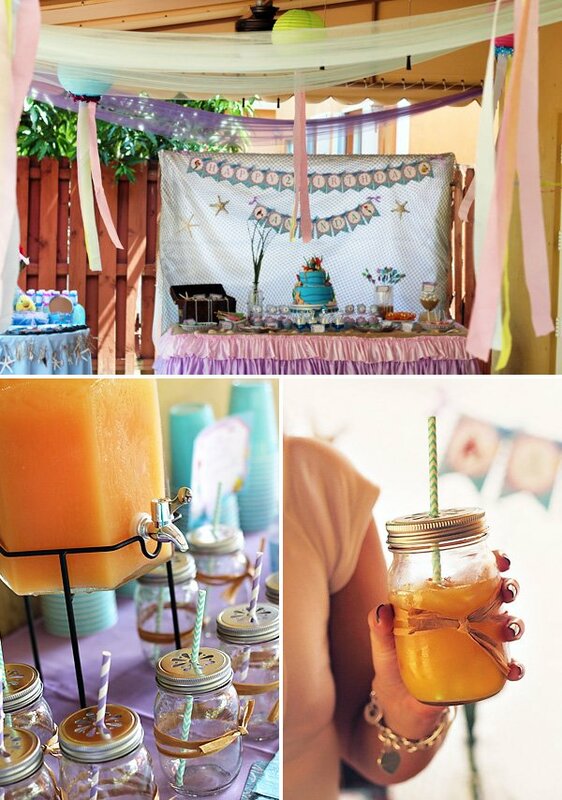 We also made a tropical punch that was a big hit with all our guests. 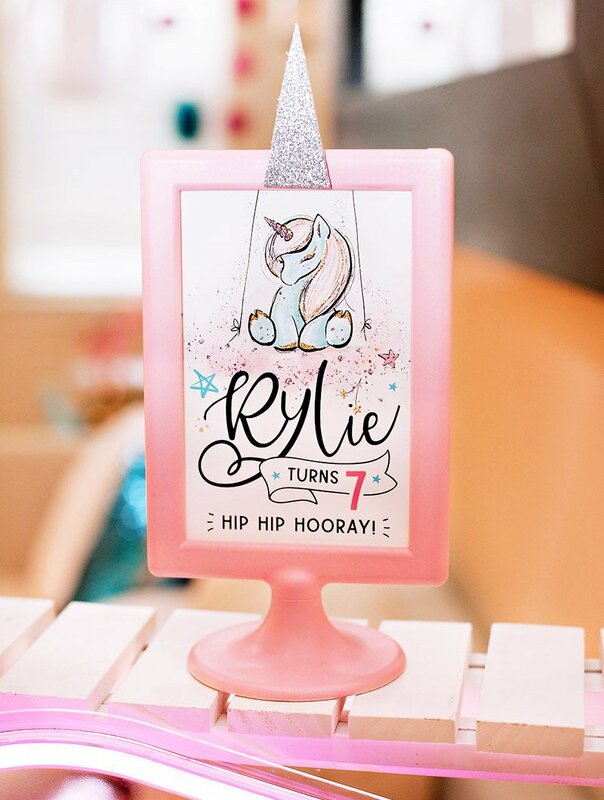 LOVE the mermaid fin, could you tell me how you made it? 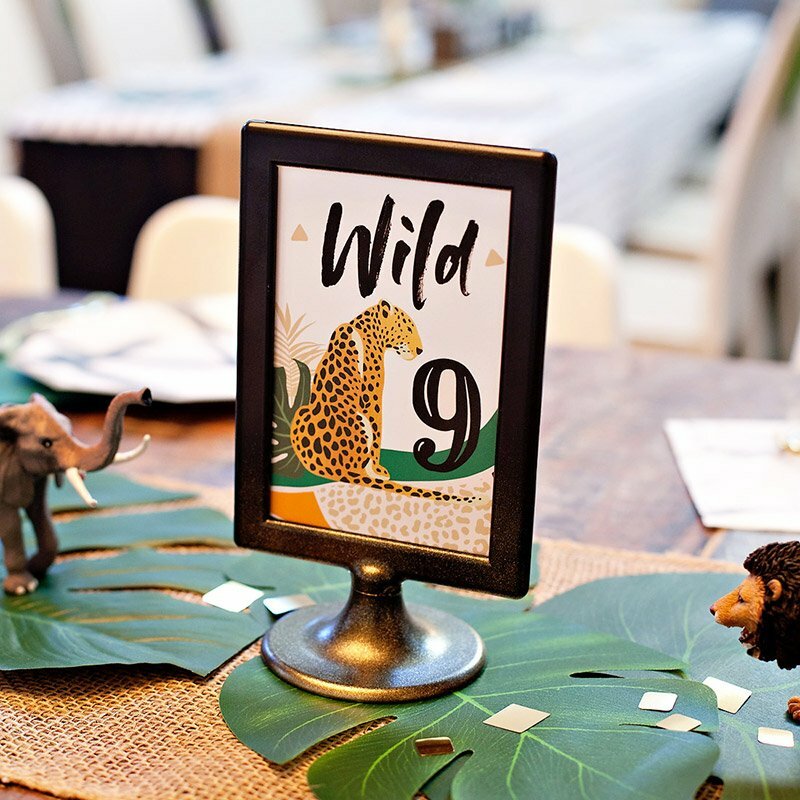 Want something like this for one of my tables at my wedding :) THANKS! 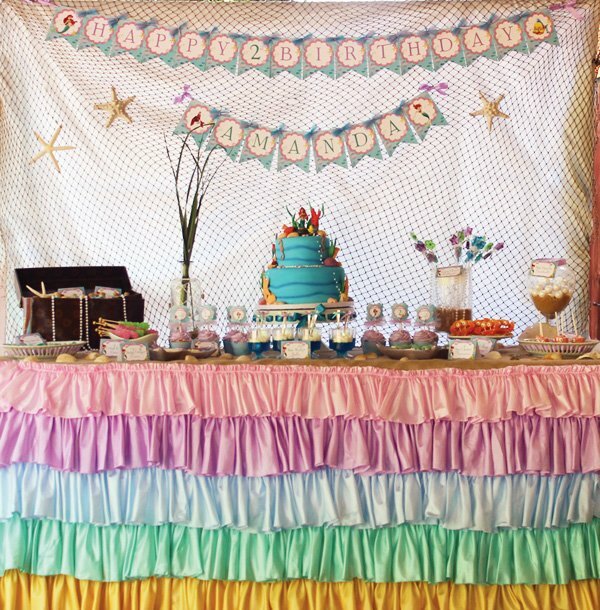 I need to know where to find the star fish shaped plate where the desserts are on and the other seashell looking plates where the desserts are ?! 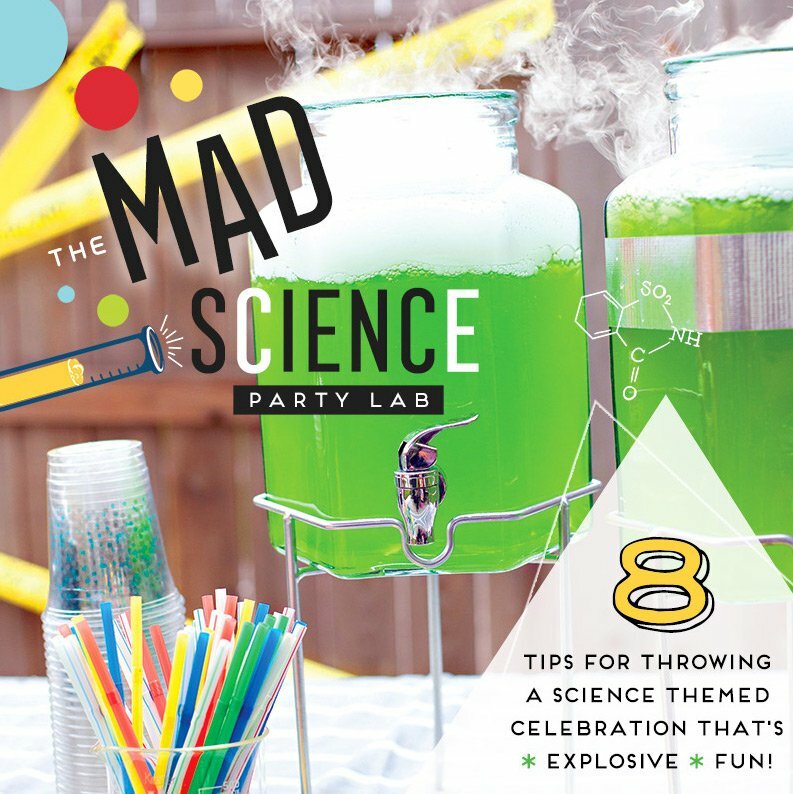 Found a link online that shows how to make these fins with a free printable. 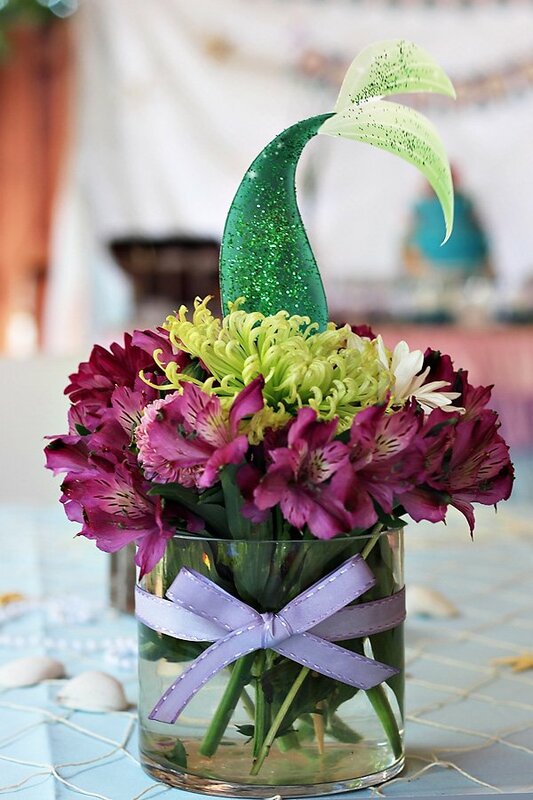 Can someone tell me how to make the mermaid tail that is in the floral arrangement please?